The Smart Lamp is a flexible lamp that changes its colour temperature to suit your preference. This lamp is lightweight and portable making it an ideal companion to take to classes or when travelling. 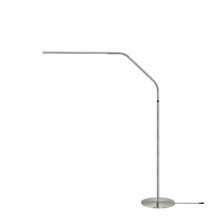 The twistable shade has a long reach and allows you to direct the light where you need it most. The colour temperature of the lamp can be changed easily between cool light, warm light or daylight. 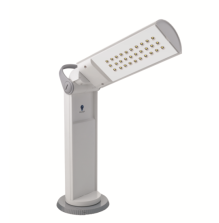 The lamp has a USB port allowing you to plug into the AC Adapter (included) and a laptop.